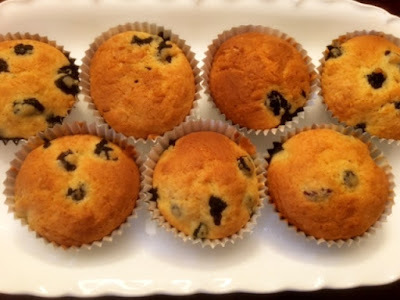 Blueberry muffins a great start to morning breakfast, so satisfying and scrumptious with the taste of fresh blueberries bursting as you eat into these freshly baked muffins. Follow this simple recipe and enjoy blueberry muffins at home, and make friends and family happy, by sharing your muffin delights!! I came across this recipe on TV and couldn't resist making them, at home. Modified slightly to suit my taste. Method: Preheat oven to 375 degrees F. Prepare muffin tins, by greasing with butter or use a cupcake liner in each and grease with spray oil. 1. 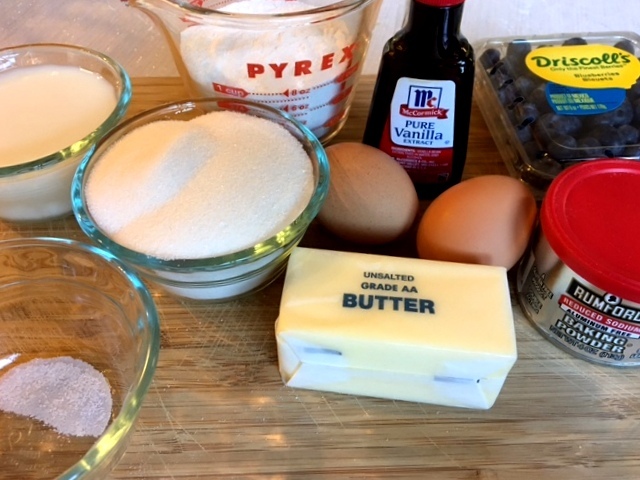 In a medium mixing bowl, cream butter, add in sugar and using a hand mixer or wooden spoon mix till creamy. 2.Add in one egg at a time, next add vanilla essence. 3.For the dry ingredients, sieve together flour, salt and baking powder. Start adding the flour to the batter, alternating with milk, till both flour and milk are added. Next, fold in blueberries and do not over stir. 4.Add spoonful of muffin mixture to prepared muffin cups. Bake in the oven for 15 to 20 minutes, remove from oven and allow to cool, before eating.